HIS SWEET SURPRISE is the musical project created by former Green Party TD Paul Gogarty after he lost his seat in the 2011 general election. … inspired by the MDMA/ecstasy spat between Madonna and Deadmau5 following Madonna’s “how many people in this crowd have seen Molly” comments. 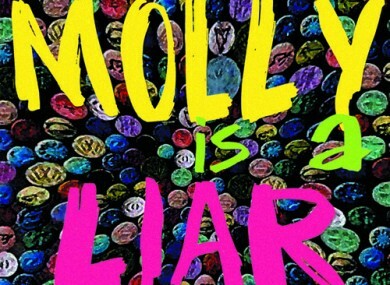 The song, called Molly is a Liar, is a warning to people of the dangers of MDMA (known in some American circles as ‘Molly’). According to the lyrics, Molly is ‘a succubus who’ll screw and screw you blind’ among other things. Of course, His Sweet Surprise is not the first musical act to sing about MDMA and ecstasy. Miley Cyrus refers to it in her recent hit We Can’t Stop, in the 90s The Shamen song Ebeneezer Goodee was essentially all about it, and of course there’s She’s a Naughty Girl which you may remember from Summer Heights High. Molly is a Liar will be released on Friday but can be pre-ordered now. Email “Former TD releases pop single about the dangers of MDMA”. Feedback on “Former TD releases pop single about the dangers of MDMA”.